You need support during your work-out? 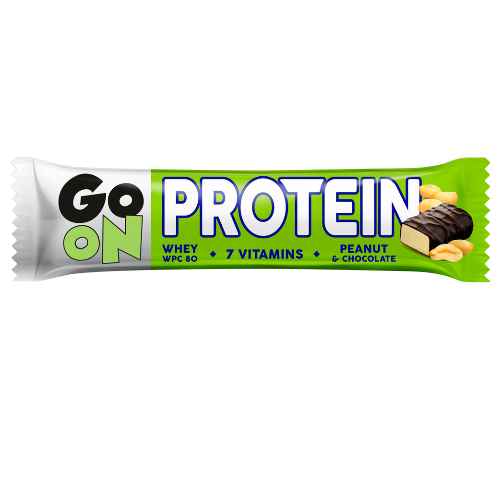 Protein contributes to the growth of muscle mass*. Niacin, thiamine, vitamin B5 (pantothenic acid), vitamin B6 and vitamin B12 improve energy metabolism*. Vitamin C helps in the proper functioning of the nervous system*. 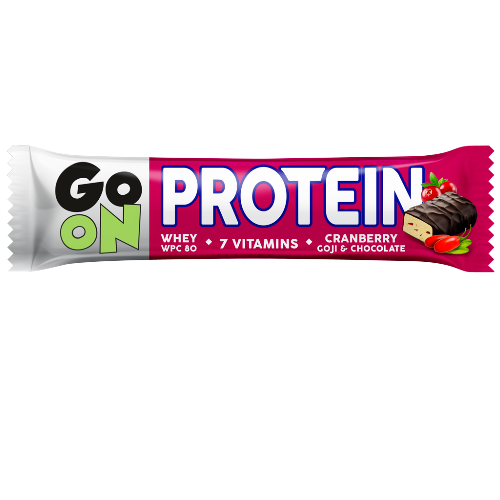 GO ON protein bar is a delicious protein snack which you can enjoy either during or after your exercise, and in any time of an actively spent day. GO ON – always forwards! 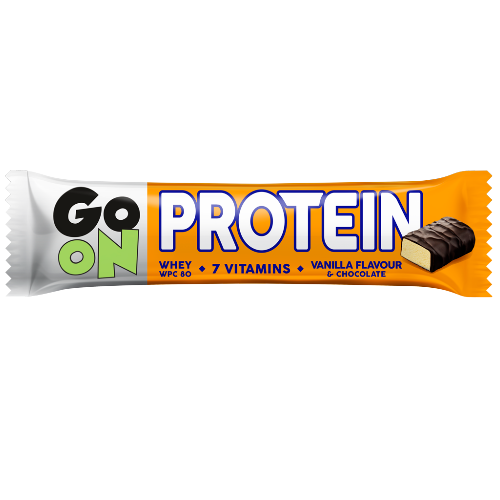 * Already one GO ON protein bar consumed regularly as part of a properly balanced diet and a healthy lifestyle will help you obtain such a health effect. 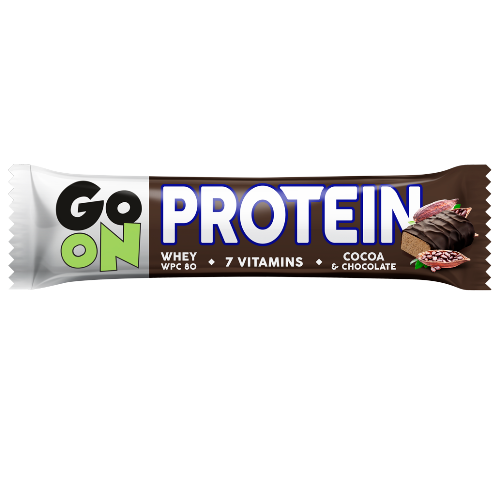 Chocolate 25% (cocoa mass, sugar, cocoa butter, emulsifiers: lecithins (soy), E492; natural vanilla flavouring), whey protein concentrate WPC 80 (milk) 23,2%, glucose syrup, inulin, firming agent: maltitols; non-hydrogenated palm fat, humectant: sorbitols; fat-reduced cocoa powder 2%, enriching substances: magnesium citrate, vitamin C, niacin, vitamin E, pantothenic acid (B5), vitamin B6, thiamin (B1), vitamin B12; flavouring, emulsifier: lecithins (soy). May contain gluten and other nuts.